Although rising powers have criticised the customary dominance of Western states in structuring the multilateral order, the number of international organisations comprised of countries in the Global South remains limited. 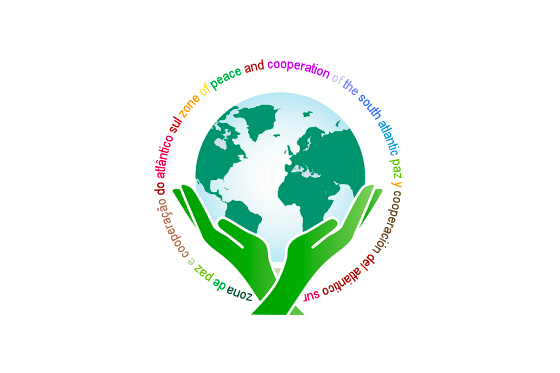 One such organisation is the Zone of Peace and Cooperation in the South Atlantic (ZOPACAS). Launched in 1986 by the United Nations General Assembly, ZOPACAS provides an ideal case study to better understand the institutionalisation of South-South cooperation in general as well as Brazil’s expanding role in the global order more specifically. Founded by all the states bordering the South Atlantic – excluding South Africa, then-occupied Namibia, and countries with overseas territories in the region – ZOPACAS aimed to establish the South Atlantic as a demilitarised area, free of foreign military bases, internal aggression, and weapons of mass destruction. But, with the end of the Cold War and the Apartheid regime in South Africa in the late 1990s, many countries acknowledged that some of these original premises for ZOPACAS were outdated. As the interest of members decreased, ZOPACAS entered a near-decade of hibernation. In 2007, ZOPACAS was resurrected. 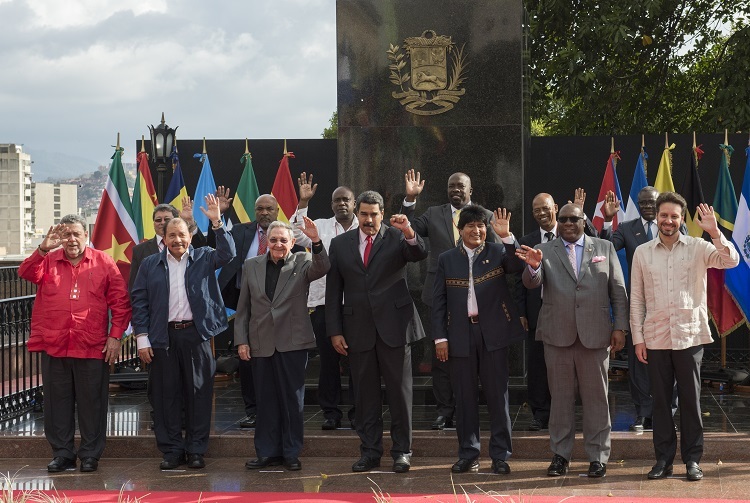 Around 150 government representatives from South American and African states along the South Atlantic met in the Angolan capital of Luanda to discuss security and development issues pertinent to the region. From the mid-2000s, Brazil began to invest considerably in the revitalisation of this organisation that had seemed to lose its raison d’être in the post-Cold War period. ZOPACAS’ singular geographic delineation corresponded with Brazil’s outlook for the region, and it excluded actors and policies that did not fit the agendas of non-proliferation and peaceful resolution of conflicts. Its institutional development became a matter of national interest for Brazil, which thus highlighted in its public diplomacy common threats to the South Atlantic and unwanted outside alternatives to self-governance. For several years, Brazil sought to match words with deeds and provided logistical assistance to African countries in exchange for their participation. Further, it provided political support through the involvement of several of its ministers and used the rapidly growing Brazilian diplomatic network in Africa to rally support. ZOPACAS illustrates how rising powers can use organisations of the Global South to contest existing forms of multilateralism perceived as Northern-dominated. For instance, ZOPACAS contests the primacy of the North Atlantic Treaty Organisation (NATO), many of whose members have a territorial and/or military presence in the South Atlantic. However, rather than contesting NATO's existence per se, the actors of the Global South aim to fill a security gap in the South Atlantic before other organisations step in. In terms of its organisational culture, ZOPACAS stands in opposition to the Western-dominated NATO and its most striking feature is the lack of any common territorial coverage. Its membership criteria are clearly defined and it appears unlikely to incorporate states from the North, no matter how obvious the presence of the UK and the US in the South Atlantic might be. The NATO Treaty does not apply to the South Atlantic – not even to the islands that are under the jurisdiction of one of its members. The revival of ZOPACAS provides an important indicator of how and where Brazil intends to expand its leadership and how it distinguishes potential allies from rivals. Inasmuch as the delineation of an ‘Ocean for the Global South’ should focus attention on how rising powers push the territorial and regional borders of their influence, its limitations also merit consideration. ZOPACAS’ ability to successfully claim the South Atlantic depends on its capacity to deliver on the expectations Brazil has created among its partners. The case of ZOPACAS further illustrates two limitations related to interregional organisations confined to the Global South. Firstly, most member states lack the necessary means and capacity to ensure their agendas are effectively implemented. These organisations’ budgets and sizes are limited, constraining their ability to achieve their formal ambitions. Various regional organisations in Africa and Latin America have compensated for low membership contributions by resorting to external donations, such as European foreign aid. Since ZOPACAS was founded and revived in opposition to the involvement of external actors, the significant inclusion of donors from the Global North in its budgeting seems far-fetched. Second, the institutionalisation of Global South organisations is limited by their members’ interpretations of national sovereignty. In the case of ZOPACAS, most member states are reluctant to transfer power to any kind of permanent structure, especially in matters of security. Instead of delegating competencies or pooling authority in a permanent secretariat, ZOPACAS’ decision-making and implementation are confined to interactions between national ministries. In this sense, the institutionalisation of ZOPACAS reinforces the paradigm of national sovereignty but – combined with its limited resources – also limits the creation of South Atlantic sovereignty. Regardless, ZOPACAS shows that it is possible to transcend established continental regions and redefine maritime space as a region in its own right. The organisation’s main goal is to oversee a demarcated space and minimise the relevance of external actors within it. However, the difficulties inherent in creating a shared identity around this space are evident. The idea of a common adversary is a powerful mortar and can certainly constitute the foundation for an integration process that sustains itself even after the perceived threat vanishes. Yet, to all intents and purposes, a South Atlantic identity is still missing in ZOPACAS. Until other countries are able to appropriate and conceptualise the South Atlantic as their own ocean, and until Brazil matches its leadership aspirations with correspondingly robust political and financial commitments, common solutions will remain fragile. For this reason, another hibernation phase has begun, indicated by the repeated postponement and cancellation of a ministerial meeting initially planned for 2015 in Cape Verde. In the absence of an autonomous institution with the capacity to regularly organise and implement ZOPACAS’ ambitions, the domestic retreat of its main leader, Brazil, cannot be easily offset. This post has been adapted from the article ‘An Ocean for the Global South: Brazil and the Zone of Peace and Cooperation in the South Atlantic’, which was published in CRIA Volume 29, Issue 3. An updated version of the article that focuses on interregional multilateralism rather than hegemony will be published in the forthcoming book Inter-Organisational Relations in International Security: Cooperation and Competition, (Routledge, 2018), edited by Stephen Aris, Aglaya Snetkov and Andreas Wenger. Adriana Erthal Abdenur is Research Fellow in the Peacebuilding Division of the Instituto Igarapé, Rio de Janeiro, Brazil. Frank Mattheis is Research Fellow at the Institut D’Etudes Européennes (IEE), Université Libre de Bruxelles, Belgium, and the Centre for the Study of Governance Innovation, University of Pretoria, South Africa. Pedro Seabra is Postdoctoral Fellow at the Centre for International Studies, University Institute of Lisbon (CEI-IUL), Portugal.